Saint Gregory’s Episcopal Church announced it has applied for and has begun the rigorous two-year process of earning the accreditation. GreenFaith is a New Jersey-based organization that offers a two-year environmental leadership program for houses of worship from all faiths and throughout the nation. The unique program helps religious institutions become environmental leaders by guiding them through green-facility upgrades, incorporation of environmental principles into worship and religious education, and participation in environmental justice efforts. Only ten houses of worship have earned the certification to date. “The Episcopal Church has a longstanding commitment to the environment,” said the Rev. Sica. “Saint Gregory’s looks forward to joining the GreenFaith-certified institutions that have become environmental leaders in their communities”, she added. Saint Gregory’s already boasts a community garden, which is open to the public on a first-come, first-serve basis, giving area residents the opportunity to grow their own local organic produce. The church recently installed energy-efficient windows and distributes eco-friendly palm branches on Palm Sunday. To earn GreenFaith certification, Saint Gregory’s will build on those efforts by improving its South Beverwyck Road church building and grounds, reducing waste and energy use, and working environmental lessons into its worship and educational programs. Rev. Sica emphasized that environmental stewardship is an important part of her church’s work. “The preservation of earthly resources is not only consistent with religious teachings, but is essential to fulfilling our mission,” she said. “We’re very excited about ‘greening our church’”, said Karen Stoia, a member of Saint Gregory’s who is leading the church’s certification efforts. “We know that changing our practices and upgrading our facilities will be difficult, but our congregation is up for the challenge”, she added. Anyone interested in joining Saint Gregory’s Church in its efforts to earn the environmental certification or interested in participating in its community garden can contact Rev. Sica at (973) 887-5879. St Gregory’s Church is located at 480 South Beverwyck Road, Parsippany. We are a progressive and inclusive community welcoming all God’s children. On Thursday, March 14 at approximately7:30 p.m., a 2011 black Dodge Durango struck John Pirres, 33, Hamburg. The accident occurred while Mr. Pirres was crossing the street in the area of 65 Madison Avenue, Morristown. The victim was transported to Morristown Medical Center. He died there shortly thereafter. The driver of the Durango was identified by police at the scene. The Morris County Prosecutor’s Office is seeking information from any member of the public concerning the accident. Any person with information is requested to contact Lieutenant Stephen Wilson of the Morris County Prosecutor’s Office at (973) 285-6212 or Sergeant Tyrone Jackson of the Morristown Police Department at (973) 538-2200. All calls will be kept confidential. Sergeant Thomas Pomroy, Officer Ronald Carrozzino, Officer Alfred Keiser, Officer Michael Sprung and Officer Jason Ferreira responded to an Emily Place residence to investigate a report of a residential fire on Saturday, March 9 at 7:00 p.m.
Officers Carrozzino and Keiser arrived quickly at the scene and observed visible flames coming from the first level in the rear of a condominium. The fire appeared to be coming from the living room where a window had already been broken by the heat. Sgt. Pomroy and Officer Ferreira immediately began evacuating the adjacent condominiums as Officer Michael Sprung located a garden hose, turned it on and placed it through the window in order to attempt to contain the blaze. Officers Carrozzino and Sprung then gained entry into the home through the front door to ascertain if there was anyone inside as Officers Keiser and Ferreira gained access through the back door of the home. No residents were located inside by the officers, but they could only get approx. 10 feet into the home due to the heat and smoke. Parsippany Fire Districts 5 and 6 as well as Boonton Fire Department and Parsippany Volunteer Ambulance arrived at the location and were able to extinguish the fire within minutes. The home was then searched throughout by firefighters. There was no one found inside of the home. Officer David Cavaliere of the Parsippany Police Department responded to the residence and conducted an arson investigation to determine the cause of the fire. The cause was found to be accidental and electrical in nature. An electric candle that had been plugged into a wall outlet in the living room was found to be the source of the fire subsequent to the arson investigation. There were no injuries reported. Mr. Tolga Gezer, 18, Lake Hiawatha was arrested on Knoll Road near the Knoll Gardens Apartments by Detectives of the Parsippany Police Department’s Investigative Division on Tuesday, March 12 at 8:00 p.m. after he was found to be in possession of thirty bags of Heroin. Tolga Gezer photo on his facebook page. Mr. Gezer’s arrest was part of an ongoing investigation involving the distribution of controlled dangerous substances within the township. He was transported to the Parsippany Police Department where he was processed before his custody was turned over to the Morris County Jail where he remains in lieu of $10,000.00 bail with no 10% option. He was charged with Possession of Heroin with the Intent to Distribute. The Heroin was placed into evidence along with Mr. Gezer’s cell phone. He was also arrested on December 9, 2012 on similar charges. The Township of Parsippany-Troy Hills Township Council members held a meeting on Monday, March 11 and voted on a resolution to change the venue for its next several meetings, stated Councilman Jonathan Nelson. According to Nelson, the meeting scheduled for Tuesday, March 12 will take place in the Council Chambers as previously scheduled. The meeting is an agenda meeting. No action regarding the Waterview Project will be taken. The council may set the date when to introduce the ordinance though. The resolution was approved to move the Tuesday, March 19 business meeting to Parsippany Hills High School, 20 Rita Drive, instead of the Council Chambers. In addition, the council meetings scheduled for April 9, April 16, May 7 and May 14 are planned for Parsippany High School, 309 Baldwin Road. All will begin at the regular 7:30 p.m. start time. In February, the Parsippany-Troy Hills Planning Board completed its consideration of a concept plan regarding RD Realty’s application for an overlay ordinance to permit the construction a mixed-use retail and residential development including Whole Foods Market on a 26.6 remaining undeveloped acres of Waterview Plaza. The Town Council will make the final decision about approving an overlay zone for that project. If the Town Council approves the overlay zone, then the project will be submitted to the Planning Board and go through the normal channels for approvals. President David Kaplan said the one-time grassroots effort involving citizens of Parsippany and Mountain Lakes is gearing up for a renewed fight now that the Planning Board passed the issue along to the Township Council for consideration. “We went from Don’t Rezone Waterview, which was a grassroots, loosely organized effort to a more formal organization, “Citizens For Health, Safety, And Welfare” he said, adding that the group is amassing firepower to allow them to stand toe to toe with developer RD Realty’s team. CHSW is now a new and official member of the environmentally minded Highlands Coalition. This tract would include a 137,000 square foot department store (rumored to be a Target); a 40,000 square foot Whole Foods (the company has a lease signed contingent on approvals) a 13,000 square foot convenient store and 72 unit townhomes. It was presented the townhomes are two- and three-bedrooms with a selling price estimated between $450,000 to $500,000. A survey of Target stores in New Jersey show store hours Monday – Saturday from 8:00 a.m. to 10:00 p.m. and Sunday from 8:00 a.m. to 9:00 p.m., although there were some stores open til 11:00 Monday to Saturday and 10:00 p.m. on Sunday, while the Whole Food store in Madison is open seven days a week 8:00 a.m. to 10:00 p.m.
Parsippany’s Rockaway Neck Volunteer First Aid Squad will host a “Dining to Donate” fundraiser on Wednesday, March 13 from 11:00 a.m. to 9:00 p.m. at the Applebee’s, 1057 Route 46, Parsippany. Click here to print out a flyer, and present to your server and Rockaway Neck Volunteer First Aid Squad will receive a 10% donation of your bill. You can eat in or enjoy carside to go service. At the Parsippany Democratic Committee’s 16th Annual St. Patrick’s Day Scholarship Lunch, Mr. Robert Keller was honored. Bob actually started the St. Patrick’s Day Scholarship many years ago and used the luncheon to raise funds for scholarships to be given to two high school students in Parsippany each year. The Parsippany Democratic Committee continues this tradition today. The Committee is honoring Bob for this and for his many years of service to the Township of Parsippany-Troy Hills and the Parsippany Democratic Committee. Bob has been an important member of the Parsippany-Troy Hills community for over 35 years. He serves on the Parsippany Democratic Executive Committee and is the liaison to the high schools for this scholarship award. Additionally, he has chaired the Parsippany Democratic Committee and served as treasurer for the Morris County Democratic Committee. Bob ran for Township Council in the 1995, 1997, 1999 and 2000 and has served on the Planning Board since 1996. In the wider community, Bob is an active member of the Kiwanis Club of Greater Parsippany, presently serving as president of the Kiwanis Foundation, following his 2011-2012 year as president of the organization. 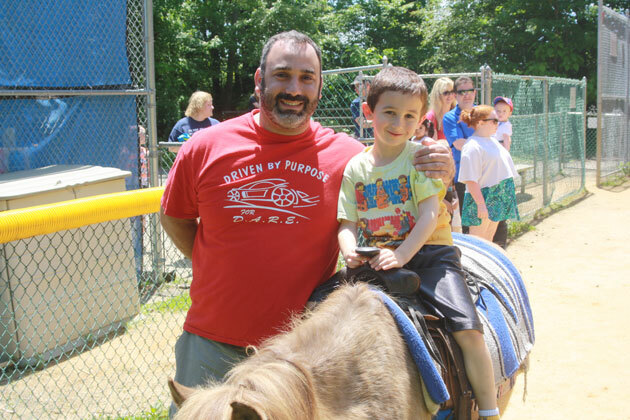 He is a member of the Morris County Multi-Organ Transplant Support Group, and has been a District 3 volunteer fireman (Lake Parsippany) for over thirty years. At Parsippany United Methodist Church, Bob has chaired the administrative council and serves as a lay leader. He is a certified lay speaker for the United Methodist Church. Bob’s professional career includes work in sales at Proctor and Gamble, Hess and Shell Oil, and a writer at McGraw, finally in the position of executive editor at Platt’s Oilgram Price Report, a technical newsletter focused on the oil business. With a work career that started at age eleven, Bob has work experience at a paint and wallpaper store, at a funeral parlor and as a radio disc jockey. A graduate of California State University, Bob grew up in the Pittsburgh area and has been married to his high school sweetheart, Connie, for 39 years. They raised two sons, Jonathan and Michael. Those who know him value Bob for his warmth, his calm, his wisdom, and his perspective on local and national issues. The Parsippany community has gained immensely from this extensive participation. The building on the corner of Route 202 and Littleton Road, the former location of the Chevys Fresh Mex was available. Inside the front entrance, lay pages and pages of blue prints of the floor plans of Chevy’s. The building was stripped of everything. The floors are down to the original concrete, the walls are back to cinder block, the tables removed, the interior decorations gone. Most of the windows are still boarded up. The only remaining memories that even Chevy’s existed at the location is the sign on Route 10 and Littleton Road, and a few signs on the exterior of the building. Authorities said a blaze that severely damaged the Chevys restaurant and injured a firefighter was sparked by the ignition of grease in a ceiling duct. Numerous calls to Chevy’s offices located in Cypress, California over the past years indicate the restaurant was reopening. We were advised the property is under contract, although they would not give information on who the contract is with at this time. A search of the number shows SCD, Inc, 237 South Street, Morristown, is listed as the number offering the restaurant; the company is a real estate developer. Chevy’s founded in 1986 in Alameda, California, Chevys is an ultra-casual restaurant concept that offers guests an array of freshly prepared Mexican dishes prepared from scratch using only the freshest ingredients served in a relaxing atmosphere. With a store base of 60 Company-owned and 18 franchised restaurants, Chevys is a national brand spanning 16 states. The closet Chevy’s Restaurant is located at 375 Route 3 East, Clifton. Macrosoft recognized as Microsoft Gold Partner Fifth year in a row for exceptional services in various Solutions Development competencies. Macrosoft is located at Two Sylvan Way. Macrosoft Inc, a leading-edge software design and development organization, has maintained Microsoft Gold Partner status for fifth year in a row, with proven competencies in Application Development, Application Integration, Application Lifecycle Management, Data Management Solutions and Customer Relationship Management. As a Gold certified partner, Macrosoft is committed to providing the highest level of competence and expertise with Microsoft technologies to its clients on all initiatives. Gold status not only enables Macrosoft to meet and exceed quality of service in development, communications and business intelligence but also provides access to many resources that help support our advanced solutions. As a Microsoft Gold Certified Partner, Macrosoft delivers high-quality, cost-effective, full lifecycle solutions to complex software development projects. This year, Macrosoft celebrates 20 years of successful engagements and a growing list of over 300 professionals working for more than 50 exceptional clients. Among our highly qualified workforce are dozens of Microsoft Certified Professionals including Certified IT Professionals (MCITP), Architects (MCA), professional developers (MCPD), systems engineers (MCSE), solution developers (MCSD), and database administrators MCDBA) who continue to implement Microsoft products into client business environments. Macrosoft’s professional development teams manage the entire development lifecycle, from business process engineering and system architecture design through deployment, hosting, maintenance and support. Macrosoft maintains a leading edge in software technology proposing advanced solutions to design new systems efficiently and integrating them in upscale business and IT platforms. Macrosoft can be found at www.macrosoftinc.com. Summer is just around the corner, with beach parties, swim lessons, cupcake day, sandcastle contest, etc, so now is the time for anyone interested in joining the Lake Parsippany Property Owners Association lifeguard staff to be certified. All applicants must have certification in Lifeguard Training, Community First Aid and Safety, CPR for the Professional Rescuer and Waterfront Lifeguard. To check on course schedule call Lakeland Hills YMCA at (973) 334-2820 or the American Red Cross at (973) 379-4198. To obtain a lifeguard application, or if you have any questions, please contact Mrs. Thore at (973) 585-7314 or McKenzie Price at price.mckenzie@yahoo.com or call (973) 941-8215. 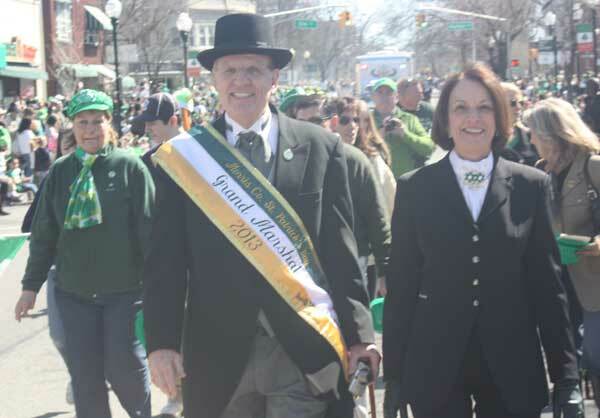 More than 70,000 spectators joined Morris County’s 34th Annual St. Patrick Day Parade on Saturday, March 10 along with Grand Marshall, Morris County Sheriff Edward Rochford, and his wife Diana. The crowd was greeted by a two hour long list of 120 marchers, including 20 bands as they proceeded up South Street, along the Morristown Green, and on Washington Street and ending on Atno Avenue. There was music from bagpipes, various groups including Colonial Pipers Bagpipe Band, Bergen Police Pipe Band and Tri County Pipe Band. The Parsippany High School Key Club is having a fundraiser at the Smashburger on Wednesday, March 13 from 5:00 p.m. to 9:00 p.m. to help support the Eliminate Project. The Eliminate Project’s aim is to help eliminate Maternal/Neonatal Tetanus in third world countries. It only takes three, sixty cent shots for a person to be vaccinated. So it literally takes $1.80 to save a life! So come out to Smashburger, 1103 Route 46, Troy Hills Shopping Center on Wednesday, March 13, from 5:00 p.m. to 9:00 p.m. get a great meal and save a life at the same time! Click here and print out this flyer, which you must have with you so Smashburger donates 20% of your order to the Key Club. The Kiwanis Club of Greater Parsippany is sponsoring a Fine Wine Tasting and Elegant Buffet Dinner. This fundraiser will support Kiwanis International Eliminate Project and Charitable Projects of The Kiwanis Club of Greater Parsippany Foundation. There will be multiple tasting stations! Fine Wine, Gourmet Beers, Single Malts, Select Spirits and an elegant buffet dinner. Price is $50.00 per person. There will also be a silent auction and much more. Bring your friends, neighbors for a great time. The event will be held on Monday, April 1 from 6:30 p.m. to 9:30 p.m. at The Hanover Manor, 10 Eagle Rock Avenue, East Hanover. For tickets, please call (973) 549-4185. Checks can be made payable and sent to Kiwanis Club of Greater Parsippany Foundation, Post Office Box 5342, Parsippany, New Jersey 07054. Tickets can also be purchased at Liquor Outlet Wine Cellars, 289 Myrtle Avenue, Boonton. They can be reached by calling (973) 334-1331, or visit their website at www.liquoroutletwinecellars.com. Wines arranged by Liquor Outlet Wine Cellars. Kiwanis Club of Greater Parsippany Foundation is a 501(c)(3) registered non-profit group. Kiwanis Club of Greater Parsippany meets weekly on Thursday at 7:15 a.m. at Empire Diner, 1315 Route 46, Parsippany. Visitors and new members always welcomed. Visit www.parsippanykiwanis.org. Residents and staff at the Morris County Youth Shelter his month are collecting unopened packages of disposable baby, toddler and adult diapers for distribution to needy Morris County families. The diapers will benefit the clients of the Morris County Office of Temporary Assistance and Child & Family Resources<, two agencies that partner in the community to help needy families. The Office of Temporary Assistance provides Food Stamps and other benefit assistance to families in emergency situations or to those who have lost their jobs. Child & Family Resources in Mount Arlington is the county’s premiere child care referral agency. The Youth Shelter houses adolescents who have been determined by a family court judge to be in crisis, until permanent placement can be arranged. Diapers may be dropped off until Saturday, March 30, at the Morris County Library, 30 East Hanover Avenue, Whippany. The Youth Shelter has sponsored a diaper drive since 2008. Last year, more than 7,000 disposable diapers were collected. Additional information may be obtained by calling Corea at (973)-285-6403. The Parsippany High School freshman class will host an event to collect books to benefit schools damaged by Superstorm Sandy. “Our goal is to help the children in need, especially after Sandy,” said senior Nicolas Limanov, who is helping the freshmen organize the event. The drive benefits the organization Books B Gone, which collects used books to distribute to individuals who are less fortunate or to schools hit by natural disasters. The Par High book collection drive will start on Monday, March 11 through Friday, March 22. To participate, drop off used books in good condition at Parsippany High School, 309 Baldwin Road. For more information, contact Nick Limanov at Ndlimanov13@pthsd.net. Teen Night at the Y! Come to the Y with your friends and enjoy an evening just for you – Sixth through Eighth graders! Swimming, Cardio Arcade, Gym Games, Music, Dancing, and snacks are all available to you. Mark your calendar for Saturday, March 16 from 6:15 p.m. to 8:30 p.m. It’s FREE for members, non-members welcome at $5.00. Register now at the Y or online at www.lakelandhillsymca.com Questions? The Community Garden sponsored by Saint Gregory’s Episcopal Church is once again open to area residents wishing to grow their own produce this summer. Plots are 10 feet by 10 feet and capacity has been expanded to accommodate demand. Plots are 10 feet by 10 feet in raised beds. Watering is facilitated by environmentally friendly passive water collection methods (no hoses) and is done by hand. Organic fertilizers are also encouraged. Saint Gregory’s will be supplying free, additional top soil to supplement the fertility of garden plots. Returning gardeners will have priority to claim their plots from last year until April 1. Otherwise space is being assigned on a first come, first grow, basis so interested gardeners should contact the church at (973) 887-5879 and get their names on the list as soon as possible. It is acceptable to leave a message if no one answers. The office staff will call you back. For specific questions regarding Saint Gregory’s community garden please call (973) 887-5879. Participation in this year’s Community Garden program is free, although the church does ask that a donation of fresh produce be made to area food programs and deserving senior citizens Saint Gregory’s will ensure that these donations are delivered. Participants will be responsible for their own organic fertilizers, borders, and plants. Saint Gregory’s does provide gardening tools although participants are welcome to bring their own. Garden hours will be from dawn to dusk. All plots are marked off and ready to be tilled and planted. Beginning gardeners are welcome! All unclaimed plots after May 12 will be devoted to growing food by Saint Gregory’s for participating local food banks..
Saint Gregory’s is located at 480 South Beverwyck Road, Parsippany. Mayor Barberio and his Council on Veterans Affairs are committed to assisting the brave servicemen and women who have protected our nation and defended the ideals we hold so dear. It has come to their attention that many veterans are unaware of the benefits they are due. Upon returning home, many of those veterans need help finding jobs, addressing their medical needs or finding housing. Many older veterans need help obtaining various veteran, disabled person and senior citizen tax deductions. The purpose of this fair is to provide veterans with emotional support and services that can be tailored to their needs. The event will be held on Saturday, April 13 from 10:00 a.m. to 9:00 p.m. at the Parsippany PAL Youth Building, 33 Baldwin Road. Assemblyman Jay Webber and Assemblywoman BettyLou DeCroce will be having a Parsippany Open House on Thursday, April 11 from 4:00 p.m. to 6:00 p.m.
Their Legislative Offices are located at 1055 Parsippany Boulevard, Suite 104. -Have an idea to help cut taxes, reduce spending, or otherwise make New Jersey a better place to live and work? -Want to better understand the issues being debated in Trenton? -Need assistance with a department of State government or want to become a Notary Public? Come share your ideas and concerns in an open conversation with your state representatives.